Man, WikiLeaks really does want in on this Edward Snowden story: Whenever Snowden’s ready, meaning whenever he gets a promise of political asylum, there’s a plane all ready for him to fly to Iceland, courtesy of an Icelandic businessman who runs a company that processes donations to WikiLeaks. “A private jet is in place in China and we could fly Snowden over tomorrow if we get positive reaction from the Interior Ministry,” Olafur Vignir Sigurvinsson, director of DataCell, told Reuters. The Interior Ministry handles asylum applications. Iceland hasn’t said publicly what it will do as Snowden is apparently in “informal talks” with the government there. Back in the United States, there’s some intriguing but frustratingly vague news that Snowden landed his job despite “discrepancies” on his resume. Sigurvinsson rented the plane from a Chinese company, according to the site News of Iceland. “We need to get confirmation of asylum and that he will not be extradited to the U.S. We would most want him to get a citizenship as well,” he told Reuters. 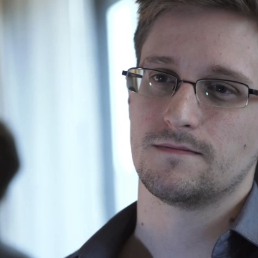 Iceland’s government confirmed to Reuters that Snowden had contacted it through a WikiLeaks middleman. Meanwhile, the question of how Snowden even got the security clearance that allowed him to access the information he leaked is becoming thornier. Inspectors were already probing the company that vetted him, USIS, for “systematic failure to adequately conduct investigations,” Sen. Claire McCaskill said on Thursday. But somebody during his hiring process with Booz Allen Hamilton did apparently find some kind of problem with his resume. Unfortunately, according to Reuters, “It is unclear precisely which element of Snowden’s resume caused personnel officials at Booz Allen Hamilton to raise questions about his background. Also unclear is how he satisfied their concerns.” And it’s not like Snowden’s in a position to answer that question. Unless, of course, he makes it to Iceland.